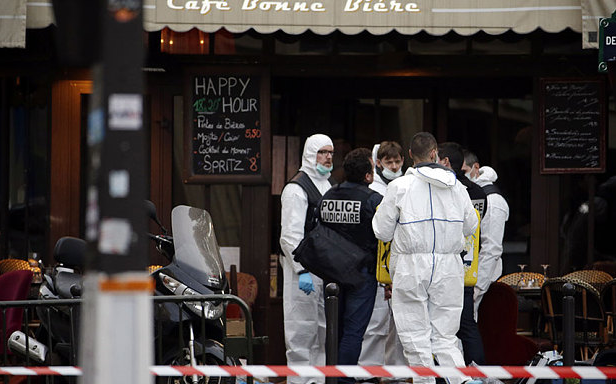 Among the many terrible facts about the bloodshed in Paris, one stands out. No terrorist group has ever previously inflicted the combination of attacks claimed by Islamic State of Iraq and the Levant (Isil). The carnage in Paris must be placed alongside other recent events for its real significance to become clear. True enough, Isil’s claims of responsibility should always be treated with caution, but if they are accurate, then consider what its operatives have inflicted in the space of just 13 days. When David Cameron said that events in Paris showed Isil’s appetite for “mass casualty attacks” and a “new degree of planning and coordination”, he was making the point in mild terms. There is simply no precedent in the modern history of terrorism for the rapid succession of havoc that Isil appears to have wrought. The group’s recent attacks are unique in several respects. The fact that they happened quickly and in far flung countries is important, but not, in itself, decisive. Al-Qaeda never actually struck three targets in three countries in 13 days, but Osama bin Laden’s followers might have been capable of doing as much their heyday before 2001 – provided, that is, we are talking about the kind of bomb attacks that the network had made its speciality. What makes Isil’s onslaught unique is how different the three operations were – and how each demanded a particular range of skills. Most terrorist groups come to specialise in one method of bloodshed. Under bin Laden’s leadership, al-Qaeda developed a near obsession with destroying civil airliners – a compulsion that reached its apogee on September 11 – or planting large bombs in unsuspecting capitals. For the first two decades of its existence, Hamas concentrated almost exclusively upon carrying out suicide bombings in Israel. The events of the last fortnight appear to demonstrate that Isil has mastered all of these black arts and more. The destruction of the Russian airliner showed that its operatives can subvert airport security and infiltrate explosives on board a passenger plane.